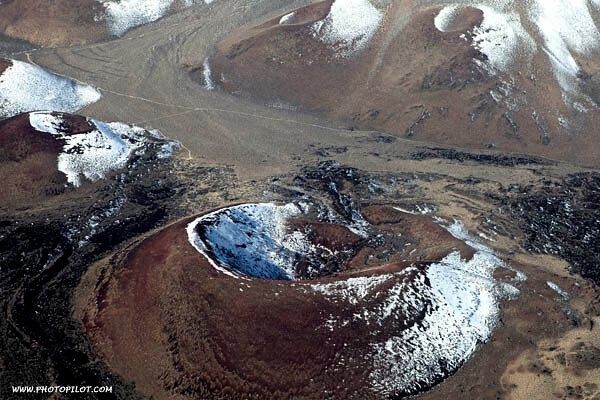 Flying up the Owens Valley to Mammoth Lakes I came across many small craters. They look like small volcanoes that have been dormant for many years. The east side of the Sierra Nevada Mountains has been an active earthquake area. About 100 years ago the town of Lone Pine recorded one of California's biggest earthquakes. Snow really adds to the definition of these little volcanoes.